It seems like there is no season that is safe from natural disasters. Whether it's snow and ice responsible for caving in part of your roof in the winter, a downed tree on your garage during a spring thunderstorm or part of your house missing after a fall tornado, you do not need any more damage to your property and belongings. This is when you reach for a PTM Super Heavy Duty Poly Tarp. Super heavy-duty tarps are unusually sturdy and offer incredible resistance to weather conditions. 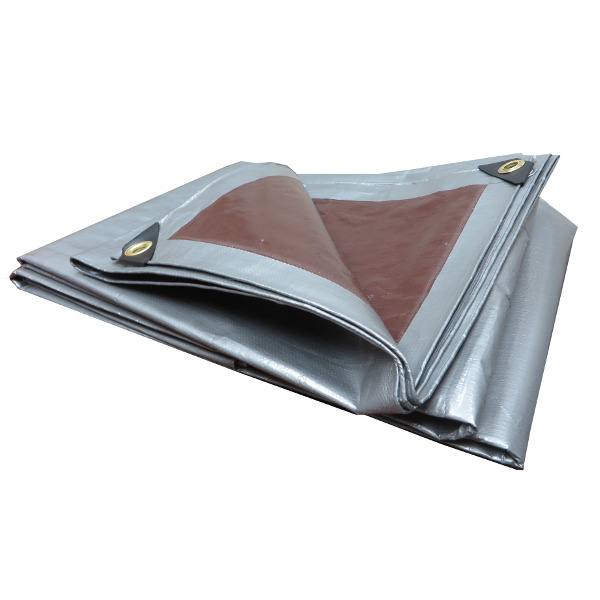 They do not tear as easily as regular tarps, and that in addition to the reinforced grommets means that the tarps will stay in place even during strong winds or adverse weather. * Please Note: PTM brand tarps only offer a warranty against manufacturing defects found within 5 days after delivery. Any damage to or failure of the product while in use is not covered by the manufacturer�s warranty. For tarps offering a manufacturer�s warranty, please view tarps available from our other manufacturers. * Also Note: These tarps must be attached with elastic bungees to meet warranty standards. What is the tarp made of? This tarp is 12 Mil polyethylene. Thank you for your interest.